I will humbly share a funny story with you today. If you promise not to laugh. Promise? PROMISE? We took someone else’s word for it. This always gets us in trouble. Matt and I were in the health food store standing over a display of ear candles. You know the ones? People talk about all the disgusting junk that comes out of their ears, how clean their ears feel afterward, and how well they can hear. We had heard all of this, but never did any research on the benefits or tried them ourselves. We laugh all the time about feeling like an old 80-something year old couple who can’t hear each other. “What’s that?” “Come again?” “Huh?” It’s frustrating and funny at the same time… and we stood there wondering if the ear candles would finally deliver us from the “feeling-much-older-than-we-actually-are” syndrome we’ve been suffering from for several years. Low and behold, an unsuspecting shopper… minding her own business. As she grabbed for a few packages of the candles – yup, we thought we had found our potential “expert testimonial” for the product and we fired away with an arsenal of questions. We had a nice relaxing Saturday afternoon as we lit small fires on our couch, just above our very flammable hair, and awaited the promised results. We couldn’t WAIT to cut open the remaining portion of the burned candles. We hovered over the hollow candle as it was exposed… a powdery, yellowish, laced-with-dark-clumps-of-something, waxy inner residue. We sounded like 3rd graders as we admired the atrocious gunk that had appeared. We weren’t so easily convinced though. It was almost too much. Matt said he wanted to do an experiment during which he would burn a candle outside of his ear to see if this same residue accumulated. Unfortunately, we had used up all of our candles. You should have heard our deep discussion afterward, acting all science-y, like we knew exactly how the candles worked. False, and false some more. Good thing neither of us is a doctor or scientist. As I prepared to write an article on our disappointing (yet relaxing) experience with ear candles, I found some very interesting information. I dug and dug and dug because I still didn’t know what legitimate reasons the manufacturers had for selling this product. For starters, I found out today the Eustachian tube is only about 1.3 inches long. (Not long and winding like our intestines.) Ooops. So Matt was onto something; we would have found the same unpleasant waxy buildup in a candle burned outside of our ear. I’m sure that candling is a wonderful holistic treatment, when applied properly by someone who has more knowledge than myself. Benefits are most likely not noticed after just one use. Take note; I’m not poking fun at the candles as a treatment modality, but at the claims people have made about candles as a wax removal tool. Mind you, the “disappointment” wasn’t with the candles themselves, but with my own misconceptions. We didn’t get exactly what we hoped for when using the ear candles, but it was a fun little experiment. I learned a lot about the ancient practice, and we may even give them another shot (with new, more enlightened expectations) at some point. So we don’t have clean ears after all. We can’t hear each other any better. And we will continue to “What?” and “Huh?” each other to death. Oh well, it provided for a nice little photo shoot and an almost-nap. Next time I’ll smile at the lady in the grocery store and say, “Oh really?” about any product she endorses. Then I’ll quickly come home and Google it. The upside? You get to learn from our experience. Have you ever used ear candles? What was your understanding of their benefits? That is awesome Patricia! I’m so glad you’ve found success with ear candles for a painful situation! I REALLY wish I read your article before trying this! My ears hurt and my head is thumping. I thought it was from all the wax being removed, bummer. if anyone has any suggestion that will help please do. I can only go from experience. My first plane trip. I had horrible earache, excruciating on the flight and went deaf for 3 days. So bad i did not want to come back on the plane. It happened every time i went on the plane. sweet sucking and nose blowing did not do a thing. I started using ear candles just before the plane trips and i found that my ears felt lighter and a miracle, no plane earache! I also used them twice when i went deaf after infections from swimming and straight after using them my hearing returned. I have learnt not to get water in my ears because it makes more wax! I cannot explain why it works because i went to the doc and he said i had a massive amount of wax build up. They tried ear drops, syringing with water and lastly out of desperation i paid a private clinic to use a machine that gently heats and then remove with what looks like an ear pick. Afterwards the ENT doctor said my ears were completely clean.The tinnitus disappeared. I bought one of those ear otoscopes and my hubby said my ears were completely clean. I did not use the ear candles. Went on the plane again and horrible earache again! I had taken a couple of ear candles with me and used them before boarding the flight back. No earache! My ears always feel better / clean and airy. Its been a couple of months (no ear candles used except one set for the plane 2 months ago ) and my ears have started buzzing again and my hubby looked in them and he said there is black wax! My hubbys ears are clear , he has never had ear trouble. My ear trouble started from my first flight. I think damaged ears produce excess wax. I cannnot explain why the ear candles work to stop my plane only ear ache. Most people do not have ear wax, i am the only one in my family with the problem , so if they don’t work for you its because you do not need them. I would like to find another way to stop my airoplane ear ache but so far , oil drops and syringing do not work. I am going to use the ear candles before my next flight and use the otoscope before and after to see the difference if any. I had horrible earaches growing up and my mom used everything she could find. The only thing that ever worked was hydrogen peroixde. and lots of it. She would pour in and make me stay still until I could no longer feel the tingles and she would let me drain my ear. repeating the process as many times until finally the ear would pop and It would stop hurting. My kids had the same issues earaches just as bad. I chose the doctor office alot. They kept telling me I should have tubes put in thier ears.. Well that just wasnt something I was comfortable with. I used hydrogen peroixde as my mom did but when the ear was clean I would put clove oil in there ears. it has a very good affect on the intense pain. If they had the earaches after swimming I would use 1/2 alchol and 1/2 peroixde..I also found that if your prone to swimmers ear when your done playing in the water put 1/2 cap alchol in ear and you avoided getting an earache 99% of the time. Haha!!! This blog post has me cracking up!! I’m a hearing aid dispenser, and I’ve always heard so manu crazy things from “they really work!” To someone who actually burned his eardrum. I’ve always been wary though, as NOT ONE SINGLE PATIENT has ever come back to let me look in their ear after they had it done, even tjough I’ve asked about fifty different people to do so. Even a good friend never filled me in on her experience. However I didn’t want to just dismiss the option the like most “medical” people do. So thank you for your research! So how to get it out… I tell all of my patients this and the ones who follow through love it. First of all you can stop by any of your local hearing aid clinic and just have them look in your ears to see if you have build up. You wouldn’t need an appointment and none of is mind doing it. There’s a hearing center in most costco’s (where I work). But even if you skip that step… put olive oil in uour ear every night a week to a week and a half, fill your ear up. Then let it sit for a good fifteen minutes. Put a cottonball in and go to sleep. Afteer a week of doing this flush the ear with luke warm water. You can use a syringe water pick, even the shower can work. Try to do it over a bowl so you’ll see it come out. Then you can always stop by again and have them look. Ask if they have a video otoscope so you can see it too. Ask them to show you the wax and expalin the different parts of the ear. Also, just so’s you know… the Eustachian tube has no wax it runs from the back of your throat to your middle ear. This is totally different from your ear canal which runs from the outside of your head to your ear drum. Just past the ear drum is the Eustachian, but no wax ever gets past rhe ear drum. Wax is a protector of the ear, it moves foreign objects back toward the opening of the canal, and is actually a bug repellant! Too cool huh? Sorry to have rambled on here, I hope some of thia helps. P.S. don’t use a “cleaning” kit from a pharmacy, or hydrogen peroxide. It’s a waste of time. Thank you for commenting and sharing your expertise Nicole! Also, thanks for clarifying about the Eustachian tube and eardrum. Lol! You must have REALLY been cracking up at the part in the article where I quoted some of our conversation about these parts. 🙂 Btw…very interesting fact about ear wax being a bug repellant! Oh my, this gave me a good laugh!!! I have tried ear candles in the distant past with no particular lessening of ear wax in the outer ear. I later read various sources that debunked their use for that purpose. My GP suggested regularly letting warm water flow into each ear during showering. Now I never get any build up at all. When I was a teenager, my mom had me get this done. She was convinced I wasn’t hearing well because I kept forgetting to do all the chores she instructed me to do which I claimed to have no knowledge of. We went down to the health food store and the lady there did one ear. Absolutely no wax showed up in the candle. Next ear. Again, absolutely nothing. They were so puzzled and astonished. Great story Gracie! You had me laughing…I think all mom’s of teens can relate to your mom who was trying everything she knew! Lol! I just found this site, very interesting topic. I have never heard of ear candles. I noticed several people using hydrogen peroxide. It also comes in kits at the drug store. I and my daughter both are allergic to peroxide in our ears. They swell up and close the ear canal. It actually take weeks to clear up. Great post! I tried ear candling once in the hopes of ‘clearing up’ my hearing. Did both ears, looked inside the tube, saw nothing, didn’t try it after that. Amazingly my hearing started working a bit better after I stopped working in a car garage, lol! Glad to hear some of the myths exposed! I’ve heard about using olive oil, my husband actually tried it and it worked. Apparently when I came to visit him before we were dating he had a terrible ear stoppage and used an olive oil spray. The gunk came out about 2 hours before I got there! Yay! LOL. I’ve used a neti-pot for some time for clearing up my sinuses and noticed that seems to help my ears a bit, too. I used to use ear candles and swore by them…until one day…the ear wax did go up into the candle, but then it melted from the heat, and ran back into the ear and burned her eardrum! Never again. Now we use the peroxide/water flush kits in the drugstore. I worked as a CMA for years and have lavaged many ears. We had the patient use ear drops for about 3days before ( they can be purchased at the pharmacy). when the patients came in we mixed warm( to touch) water 2/3 and 1/3 hydrogen perx. in a n emesis basin holding the basin under the affected ear. We used a large syringe to put water mixture in the ear. We were surprised at the large pieces of wax that came out . Remember to drape a towel around patient first to save clothes. This was an interesting read. I’ve always been skeptical of ear candling since they did a segment on 60 Minutes or 20/20… something along those lines and came back with similar findings to yours. I use the peroxide drops, as well. To get the benefit of any warmth the candles provide, you can also use a blow drier on your ears (set the heat setting for what is comfortable)! It’s soothing and seems to help get things moving a little more. I’m not surprised that you thought candling was for clearing out wax because that is what many people claim. I had a therapist who offered to do mine for free during her candling training, and I checked out the history and science behind it and decided it wasn’t for me. However, I ~am~ interested in the recipes here for ear drops. I can’t ~bear~ getting water in my ears as it feels really uncomfortable, and I’m wondering if that’s what’s called ‘swimmer’s ear’? I’d like to try the ear drops, and I do actually have some hydrogen peroxide (I can’t remember why I originally bought it – dreadful memory! – but have been reading about it since). Can anyone who has posted or uses their own ear drops tell me what percentage Hydrogen Peroxide is safe to use? disagree strongly.. have used them for years and allways had relief and felt better…. hydrogen peroxide in the ears…anything ear nose throat…..soar throats, clogging, congestion…….in those areas….hydrogen peroxide dripped into the ear provides the oxidation to turn things around really fast…..like anti oxidation….but NOW. do not know about unclogging them with it, but this gem is golden, cheap…etc. Ear aches….the whole thing….Ears nose throat. I used candles on both of my grade school aged kids. I purchased 4 candles, but only did one ear of each child. They were VERY, extremely, “mom, you come up with the craziest things” skeptical! Results: Both came back after being out playing for a few hours, asking to please do the other ear—they felt lopsided. So yes, they do something! 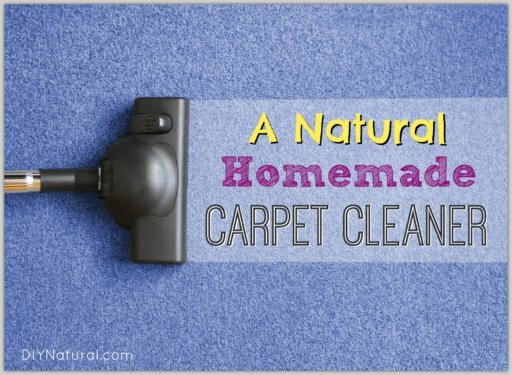 Upon my research, due to my son having his ear blocked by build up (to the point that you could not see his ear drum) I found an interesting and natural way to remove that gunk, its effective and painless. However with most things that you want to work it takes time. Soften some coconut oil and use an eye dropper to apply to your ears twice a day (while laying on your side) and allow for the drops to flow downward, as uncomfortable as it may be for a few seconds. It feels quite ticklish. Do this for 3 days in a row, then comes the fun part 🙂 Take a syringe (the kind you use to give a child tylenol or advil) and gently flush your ear with luke warm water. The oil that you have been applying to your ears, will have loosened up the debris and the water will push it out safely. you will be amazed at the size of the chunks that come out. so knarly! My son did very well, didn’t even cry, did I mention he’s only 3?! love you guys. I used to work in a nursing home and the administrator had a candle ear thingy done and actually had the inside of her ear burned.I told her from now on use tepid hydrogen peroxide warmed in the microwave.lay down turn head pour in.let sit for awhile you decide.flip over do other side. MAKE sure it s tepid or you’ll get dizzy. in 1982 my 5yr old daughter was always getting ear aches I went to an old fashioned country doctor.love em.he used just plain old tepid hydrogen peroxide.SHE NEVER had a problem again and it cleans your ears too.although sometimes it comes out in a big glob on your pillow after sleeping.YUK! !anyway have used on grandkids myself everyone no problems as far as I know and its been 40years. keep up the great work!!! Great post! I did ear candles once with my sister as kids and we came to a similar conclusion as you. As far as I know, wax does not get into the eustachian tube because it is located in the middle ear, behind the ear drum. It serves to equalize the pressure in the middle ear since it is a completely enclosed cavity and connects to the pharynx (or throat). The wax is only produced in the ear canal before the ear drum to catch bugs and dirt as a protection to the sensitive ear drum (or tympanic membrane). 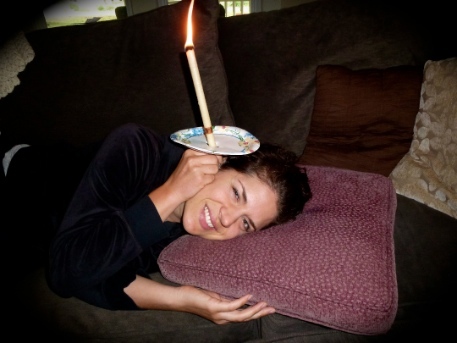 My family has used the ear candles for several years and we feel great afterwards! We can get the wax out much easier afterwards and we will continue to use them even though many people think they are useless. Even my granddaughter who is deaf (she is 8 years old) asks for them whenever she feels pressure from the wax buildup. As with anything else in this world, if you use something improperly you may get injured so just be sensible. . . don’t use it without someone else to help you, and don’t expect miracles. The major drawback that I see is the expense and the time involved. Yes, we suspected that with repeated use we may see some results. Thanks for the safety reminder too! Ears are too delicate to try things like candling. Should something go wrong you cannot repair eardrums. A trip to the docs office to have your ears cleaned is far safer. A simple solution of water and hydrogen peroxide is used to flush earwax safely by trained professionals with the proper equipment. I’m way into do it yourself holistic remedies but somethings are best left to those who are trained. I had my ear wax get blocked from the cold water in the high school pool. Usually, because I wear hearing aids (warmth from the batteries) my ear wax is very liquid-like. When the water splashed in my ears, I twice had that blocked sensation. I did have to use the ear candles twice, and I used warmed olive oil first, but they worked at clearing out that blocked sensation. I was skeptical, and found it WAS very helpful. On TWO DIFFERENT occasions. I recently used them as an experiment. I have a friend that swears by them. I’m now a believer. I thought that I was loosing my hearing in my right ear for the last 3 years. After using the ear candle I could hear very clearly. My results were different. I had actual wax in a long stream in the end of the burnt candle. After the 2nd one, then I had the powdery residue that you had. It is too bad you did not get the results you wanted. Ear candles have been around since ancient Egyptian times, so I would assume some people got good results! 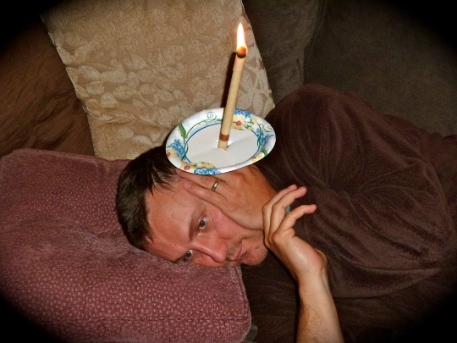 I have used ear candles for years, and , YES my hearing got better, but NOT WITH THE FIRST USE….. I used them once a week for several weeks before my hearing was any better, but it DID help, and Ear candles are a GOD SEND for an ear ache!! I did do the experiment myself: burning one in the ear, and one in my cupped hand. We examined the residues and found about a 15% difference. There was a bit of something extra in the ear-burned residue, and it was a bit different, visually, but similar. So, some of the stuff left over had something to do with the ear. I did feel really good, doing it. It did create a feeling of something moving in the ear – an occasional movement, so it did feel like something was being “sucked” out. I soon got a rash all over my ears, which was very itchy and took weeks to get rid of. And, after the first session, my ears began to feel clogged up. I had never, not even as a swimmer, had any ear problems, at all. I had only done the session because my friend was trying to start a business doing it (this was 15 years ago) and she wanted to try it on me. So, I tried a second session, to see if something needed to be finished up. Nope. Since then, I have always had a pressure build-up in my ears. I have great hearing; in fact, folks are often alarmed when I overhear what they are saying. That hasn’t changed, and I don’t get ear infections, thankfully! But, I do have to “pop” my ears constantly, like normal people just have to do when changing altitudes. All in all, it was a gentle lesson on not messing with the body any more than necessary and not using goofy sounding methods. Thanks again for all your posts!! I use all your suggestions and home remedies. I did burn one outside of an ear once. It looks exactly like the ones burned in an ear. After years — YEARS — of outer ear infections (“swimmer’s ears”) I saw a little piece on the evening news about ear candling and thought that would be something to try. First, I went googling and found so many horror stories from medical professionals about third degree burns inside ears, complete loss of hearing, and even candle wax inside the ear! I kept searching, though and the consensus was this was not only completely ineffective but incredibly dangerous. So I did not do it. What I did do was start using ear drops regularly. 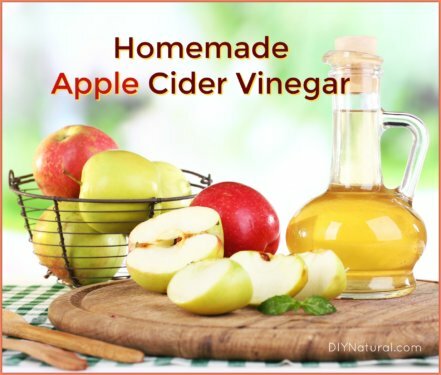 They were 1/2 vinegar and 1/2 alcohol — 3 drops in each ear. I stopped getting swimmer’s ear infections, but I continued to have wax build up in my ear — so much so that at one point I had a complete blockage in one ear and couldn’t hear out of it! Off to the doctor I went and she explained that while the vinegar and alcohol would kill any bacteria in my ear that would cause the infections (I swim a lot), the alcohol is also eliminating the natural oils that will move wax naturally from the ears and it was just stuck in there. So she flushed my ear with water, got a little bit of wax out of my ear (I could hear again, yay!) and suggested I add an equal amount of olive oil to my ear drop solution. That was last October. So now with my 1:1:1 olive oil, vinegar, alcohol ear drops (still 3 drops per ear a couple times a week) in April — six whole months after I started using olive oil in my drops — wax started moving out of my problematic ear. I’d wake up with chunks of it lining the hole just inside the ear, but outside the ear canal. I never use q-tips on my ears — swimmer’s ear is very painful and qtips actually shove the wax back inside the ear. The ear is made to protect itself and to gently remove excess wax on its own. Only the outer parts of the ear should be cleaned and a washcloth over the tip of one’s finger is adequate. Great info, thanks so much for sharing! We tried some a few years back because the lady swore by them and told us the whole sucking thing and whatnot. They were very relaxing indeed! We were skeptical so we bought extra to burn outside our ear and it produced the same result as the one on our ear. Till this day I still hear people swear by them. I’m glad you found factual info on them! I will swear by them that the make me feel like I’m listening to a nice campfire. You guys make me laugh! I have been doing earcandling for years, one of my friends is an energy worker and ear candler. Lisa was right on, it can help with many different ear issues. My favorite dyi ear treatment for earaches is a clove of garlic warmed up and wrapped in cheesecloth and placed in the ear. Looks weird and smells like garlic but it is very effective! You may have to “carve” the clove so it can fit comfortably in your ear. I tried that this past winter with the garlic — it was horrible! Stung like a b!tch! Didn’t work for me at all! My youngest son had tons of ear infections as a baby. The doctor had us pour peroxide in his ears to help clear up the infection. He said it drains right out and doesn’t hurt. He ended up having to get tubes in both ears and the ENT said he produces a lot of wax. He said to help with that once a month put a few drops of sweet oil (they sold it there) in each ear to help loosed up the wax so you can clean it easier. He said you can also use olive oil but make sure extra virgin because it has less particles in it. I’ve noticed that 2-3 days after the drops big chunks of wax start coming out/sliding down to where you can see them and clean them out. It does seem to help. I use sweet oil as well in my ears and it has eliminates the pain and ringing I was having in my ears. I noticed there is a lot more wax when I clean my ears. I thought that the extra wax was just a side effect of all the allergy congestion I have but, duh, it must be the wax draining after being softened by the sweet oil. Thanks for pulling the pieces together for me. I have had this done by a homeopath and it worked like a charm. Felt great, ears were unstuffed and clean, and there was tons of stuff in the cone. When I tried it myself, I got the same results you did. Didn’t help at all. Could be something to do with the candles themselves or with the application. Yes, I’m not trying to discredit the use/benefits of ear candles…I bet application by a trained homeopath would be much better. We went into it with misconceptions and no knowledge of its true benefits. I’ve never heard of ear candles before this post! But when I saw the title, I thought it was going to be related to something my family does. See, I’ve watched my aunts before, when they have an ear ache, put a lit cigarette up into their ear. According to them, the cigarette helps relieve any pressure in your ear, which decreases te pain of the ache. I’ve never tried it, but also haven’t had any ear aches. But I guess I would understand that it could work….I imagine it to be similar to the children’s experiment where you get a boiled egg to somehow squish into a bottle through a small top. The way to get it in is to light a match inside the bottle and seal the top with the egg. When some oxygen (or some kind of gas) burns up, there is less pressure inside of the bottle, so the pressure of the outside air pushes it in! (or it’s sucked in..) anyway, my point is that maybe the cigarettes and ear candles work similarly to that experiment? Maybe that’s why you felt a soothing feeling.. Either way, this post was fun and I now know what ear candles are! You two are brave! Thanks for sharing your experience. I’ve often thought about trying it myself, but now I think I’ll save my money. I am a certified Homeopath for over 18 years now and have been coning people’s ears for that long and it works wonders! I say if you are going to give an opinion about a subject you should have three legs under your table so it can stand up. 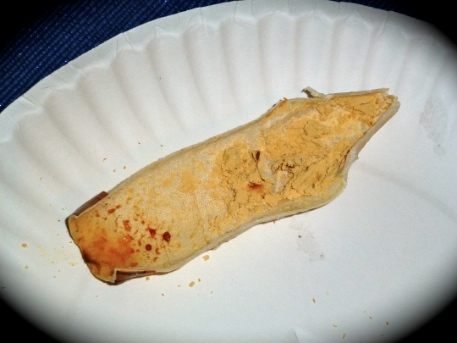 Coning has been used for thousands of years by the Egyptians, Indians, Native and from India, Chinese, they even say the people from Atlantis used ear coning. Do you really think they would have used this therapy if there were no validity to it. The Egyptians were far advanced with medical knowledge. No one says it can help your hearing but it can help with many other problems of the ears such as chronic infections, itching of the ears, as a preventative to ear infections, helps with ringing of the ears, sinus problems, lots of benefits, unlike getting water flushed through your ears and having it sit in the ear canal and cause havoc. It is a process, not just using one candle and that is it. Adults typically need to use 2 sets of candles and sometimes three and then repeat again in two weeks depending on the situation. Also using a good ear oil first is important, warm it up put a few drops in the ears, massage a bit before putting the cones in the ears, this helps loosen up the wax. Trying something once and writing that it does not work, well, that is what gives alternative medicine a bad wrap! What type of an ear oil would you suggest? I didn’t say they had no benefit…they just didn’t do what we originally thought they were going to do. As I mentioned in the article, “I learned a lot about the ancient practice, and we may even give them another shot (with new, more enlightened expectations) at some point.” Sorry I wasn’t more clear about this in the article! Lisa, read this article for a clear understanding of our view of homeopathy and naturopathic medicine. 2. The eustacian tube (sp) connects only to the inner ear. Whatever vortex the ear candling allegedly produces cannot reach it to cause it to drain the inner ear. 3. 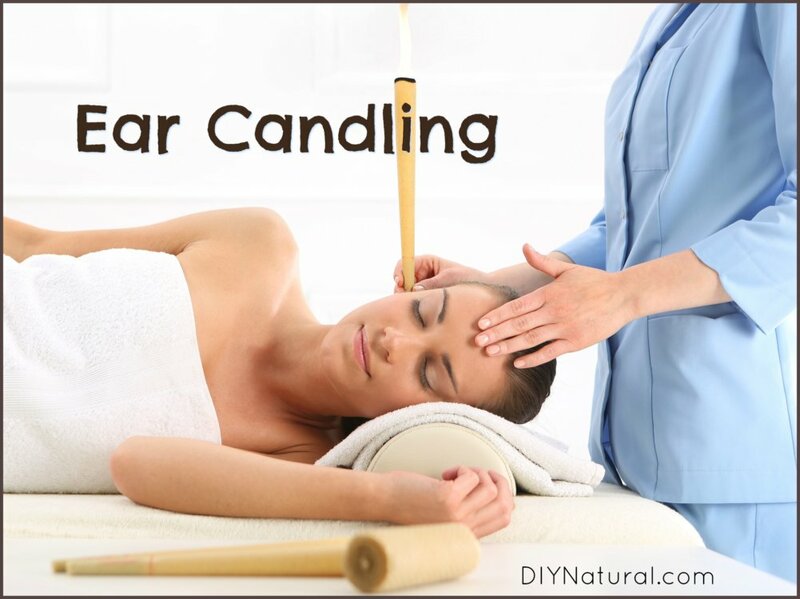 I had ear candling done some years ago. Months later I developed an ear ache. The clinic washed out my ears and got a lot of ear wax out but also several little balls of hard wax from the ear candles that had fallen into my ear canal. I was also on the verge of an infection in my left ear. The doctor said it certainly blocked the ear canal from clearing itself and could have burned my ear drum causing permanent damage. This certainly doesn’t sound like it’s worth the risk. If I had done another ear candling instead to treat the ear ache it would have done nothing good for me. 4. The material found in used ear candles has been tested and never found to contain candida or ear wax. If someone opens one up to show you how much it cleaned out your ears they are a charlatan. And I wonder how many house fires have been caused by careless use of ear candles. There’s no documented evidence that these cones have been used by Egyptians, Indians, Chinese, and certainly not Atlantis. Fools and their money. Sorry. If you really want your ears clean and healthy go to a clinic twice a year and have them examined and properly washed out, or do it yourself with the ear cleaning kit you can get at the pharmacy. Especially if you get an ear ache. Growing up my parents kept our ears clean with peroxide. Let it bubble for a while, drain it, and swab the outside with a Qtip. When my daughter was very small the pediatrician told me to clean her ears with half and half peroxide and alcohol. The alcohol dries out the water that the peroxide leaves. I use this on my whole family, and everyone loves it. They usually request an ear cleaning every couple months. Every doctor who has ever looked in my ears has commented on how good they look. Awesome! We might have to give it a shot. I tried ear candling once. I must say, I think it was worth it for the relaxation factor. My head felt clearer after the experience. Probably psychological, but nevertheless, it was a great experience. I will do it again. Yes, very relaxing! And from the ear candle website, it sounds like this is one of the main benefits. We certainly felt all nice and cozy after the experience. I burned one once. Held it above the sink. Lots of gunk at the unburned opening. My sink didn’t look any cleaner. I love this post. I have used ear candles (occasionally) for years. I love to look at the waxy gunk and pretend it’s ear wax. I have often been tempted to burn a candle out of my ear to see the results, but didn’t want to waste the money. I must say that there have been times when I, a chronic sinusitis sufferer, have been so clogged up that my mucus won’t drain (yuck), my ears felt clogged up, and I had to breathe through my mouth. At such times, ear candling was very effective. I don’t know why. After candling I could feel the drainage begin. It is a lot like when you only punch one hole in a can of pineapple juice (yeah, I’m old) and the juice won’t pour out. But then you punch a hole on the other side and the juice pours out just fine. I don’t know why it works, but it does. Sometimes. A friend who is a Chiropractor was telling me about it one day….I thought it sounded pretty interesting but didn’t try it at the time…Months later I was taking an airplane trip to New York….A couple days before the trip I got an earache…I thought, “oh no, just what I need when getting in a plane.”….Low and behold she came into my place of work to workout and I was telling her about it…She suggested I give candling a try, so I did….The next day I laid on her couch in a dark room and had these long wax sticks in my ears with a paper plate…I’m sure it was quite a picture…lol….I agree with you, it was very relaxing and did sound like a crackling fire, very soothing….When finished she cut open the candles and I saw all the wonderful goo inside…I was utterly amazed…To my relief, my earache was gone…Yep!!!…Gone!! !….A couple days later I hoped that plane and had a wonderful time!!!…. Wow, sounds like you benefitted from some of the holistic healing properties the ear candles boast! Thanks for sharing! I have never used ear-candles. As a child and even a teenager, I was prone to lots of wax build-up that would sometimes cause ear pain. The doctors would take a syringe, fill it with peroxide and inject it into my ears. Out came the gross-looking large and small pieces of wax, along with peroxide. Boy, did everything seem loud after that. I now do it on my own when needed. It works! I just read your article about ear candles. I always question the reasoning on it. If you are removing wax with a vacium, why doesn’t it hurt the ear drum which is next in line in the ear? I never used them. Usually if my ears get blocked I use q-tips for one. Plus if it is still blocked, I go with Elderberry extract. They are starting to find that most sinus infections and ear problems are viruses not bacterial. It does take a couple of weeks to a month to clear up but it does work on clearing the ears up. I think I prefer my candles in a bowl on the table to see, not above my head coming out my ear. Thanks for the article it was interesting. I went to a retreat 15 or so years ago where ear candling was offered. I did it and decided it was not for me. Thanks for the post. The only “natural” ear wax treatment I have ever found it olive oil and some type of heating pad. 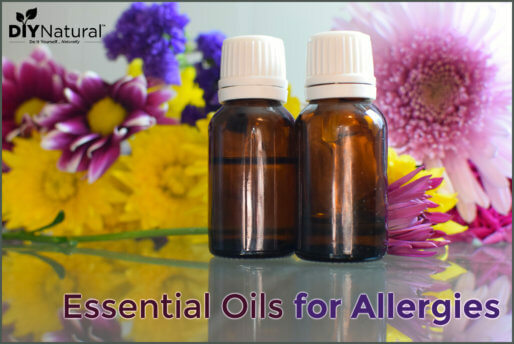 Put a couple of drops of oil in and lie down on a warmed grain pillow, or heating pad with the affected ear down. It is a good idea to put a washcloth between the ear and the pillow. This softens the wax and lets it drain out. Then you can carefully use a Q-tip to carefully swab out the rest. The “commando” treatment – done by my GP doc on several occasions – is a drop of dish soap mixed with warm water in an adjustable stream Waterpic OR a large barrel syringe. That removed things resembling 1/8 diameter sticks from my clogged ears. You have to be extremely careful if you use the Waterpic, but the syringe works really well. Affected ear side down – probably over a sink. Wow! I never knew! Does it seem to help your hearing and “clarity” after a treatment? I always wondered about these too! Thank you for saving me a bit of money! I guess hubby will still get away with his “selective” hearing! LOL! Thank you for posting this! The lady in the health food store had told me the same thing and I would have bought them if I had had the money! Now I know not to.